Any plans for the super robot monkey team hyperforce go guys or Mojo-Jojo? I feel that this would be a great time for Mojo Jojo, for he is Mojo Jojo and these others are not Mojo Jojo. Only can there be one, the only, single, solitary doer of dastardly deeds! Purveyor of pestilence! Interloper of lawlessness! Menace to mankind! He is bad! He is evil! He is Mojo Jojo! Ah Gorillas, a true staple of comics, because as we all know, Everything's Better With Monkeys! *The geek in me feels the urge to clarify that Gorillas and Chimpanzees are apes, NOT monkeys. Gazman wrote: Nifty little theme you got going Thorp. I too wanted a chimp bot until I got to the Metal Monkey Poop power. Funny how that second picture had you immediately whipping up a build, because the second I saw those giant gorilla bots I had the immediate thought that they're used by the White Gorilla faction in trying to conquer Wakanda. Something to consider? Not really but how can I pass up Mojo Jojo? Because Mojo Jojo is Mojo Jojo and you are correct that the others are not Mojo Jojo, for there is only one Mooooooooooojo Jojo! We've got a new item for our Villains Line getting stocked on our IDW Comics Aisle! Responsibility: To Shredder and The Foot Clan. Rivalry: With Leonardo, who she believes betrayed Master Shredder. Build Comments: I have professed my love for the new IDW TMNT series several times, but just to make sure everyone that reads this knows; I LOVE THAT SERIES AND IF YOU EVEN LIKE, NOT LOVE, THE TMNT, GET THAT SERIES. It has is a great mix of being fairly faithful to the original incarnations while taking it in a new enough direction that thins feel fresh. I look forward to it every month. One of the new mutants they’ve added is Koya, Shredder's pet Hawk that they mutated. She was pretty wicked and was able to hold her own with all the Turtles on her own, but again, you have to account for New Villain Stink, so I'm keeping her at PL9 for now. 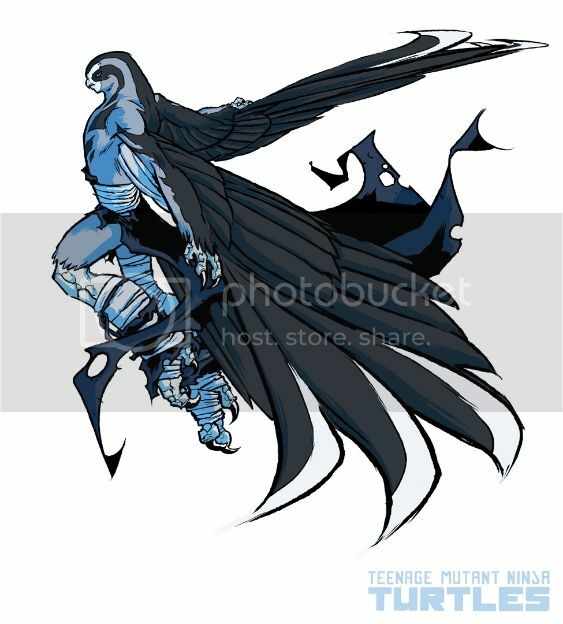 Secret Origins: Koya was once Shredder’s pet Falcon that he used for reconnaissance that he later mutated. The Story so Far: Koya found the TMNT when they were attempting to rest in Northhampton at April’s family farm. After a pitched battle, she was severly wounded by a shuriken from Leonardo that caused her to flee and seek medical attention or risk dying from blood loss. Characterization: Koya is fiercely loyal to her master and a strong combatant, able to hold her own against all four Turtles and an injured Splinter. Friends and Foes: She now has a vendetta against Leonardo who she not only considers a traitor but whom she wants to avenge her defeat against. Last edited by Thorpacolypse on Mon Apr 28, 2014 6:05 pm, edited 1 time in total. We've got another new item for our TMNT section of Aisle 4! Relationships: She is good friends with Casey Jones, who helped her deal with a really bad situation and got her back on the right path. Responsibility: To the Purple Dragons. Build Comments: Another TMNT character that the new series has handled wonderfully is Angel. She seemed like another throw-in female character when she was originally introduced but in the course of the series, she's become a valuable ally to Casey and The Turtles as well as a potential piece of a future love triangle with April and Casey. 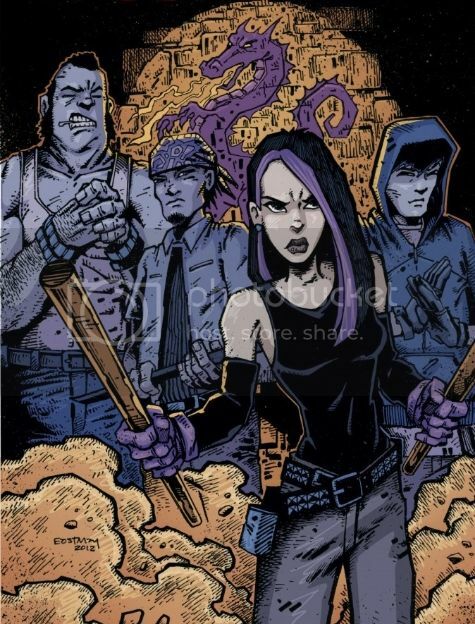 Secret Origins: Angel Bridge grew up on the streets and became a member of the Purple Dragons gang, which she had joined shortly after the accidental death of her mother. Before loing, she became the leader. The Story so Far: At the time the Dragons were still a violent street gang, and Angel threatened to get into serious trouble. One of her childhood friends Casey, whose father and her own were close friends, confronted her at approximately the same time her mother was lost, and brought and her back to reason, an act for which Angel was sincerely grateful. Their conversion was ultimately responsible for ensuring that the Dragons reorganized its leadership under a vigilante. One day the Turtles were forced to look for a new home by Baxter Stockman, his Mousers and Old Hob, where they came upon April O'Neil in her father's old antique shop which was observed by Angel. As the Dragons already had unpleasant encounters with other mutants from the Foot Clan, there was a battle between the Turtles and the Dragons until Casey joined them and was able to explain the misunderstanding. Despite some reservations Angel eventually helped the Turtles and Casey, free Splinter from the clutches of The Shredder, and supported them from than on against the occasional machinations of the Foot Clan. Eventually, the leadership of the Purple Dragons was forcibly wrested from Angel by a resurrected Hun and the Dragons reverted to their former existence as a violent street gang. Characterization: As a street Girl, Angel naturally knows the skills produced in Brooklyn, where she grew up. Through her experiences from the road she also has certain abilities in combat, with which she can use to help herself out of tricky situations, and she also has a certain talent in lock picking. Friends and Foes: She values her friendship with Casey Jones and still wants to bring the Purple Dragons back to a positive force in the community. All your cool builds makes me want to catch back up on the new TMNT comic. I was really enjoying it there, but after missing a few issues and my FLGS not getting the issues I missed back in I just kind of fell out of it. I may have to try my chances again or see if they can reorder them for me. Check out this BLACK LIGHT SPECIAL for Aisle 1! Motivation: Jefferson has a strong sense of social responsibilty as well as a commitment to being an educator. Relationships: He is close his daughters, Anissa and Jennifer. Build Comments: Always loved Black Lightning even if he didn’t always let you know that he had pure electricity…in his pants, like Black Vulcan, who was created for the Super Friends show because of the issue with the rights to Black Lightning at the time. Secret Origins: Jefferson Pierce was a normal man who grows up in South Side, Suicide Slums, with a dream of success one day. After becoming an Olympic gold medalist in the decathlon and a college graduate, he moved to Metropolis with his wife, Lynn Stewart. The main reason they moved was the death of his father, Alvin Pierce. He is killed after trying to open the eyes of the public to the scams of local con man Tobias Whale. They have a daughter they name Anissa (Thunder), and later Lynn becomes pregnant with Jennifer (Lightning). Jefferson is a principal at several schools and is respected for all the good he has done in the neighborhoods and schools he had been in previously. The Wayne Education Trust gives him a grant to come back to South Side to try to do the same there. They look at him as "our last best hope for successful leadership in urban education reform." Jeff sees how bad it is, mostly due to the 100 and Tobias Whale, so he decides to do something with his hidden electricity powers discovered by his wife. 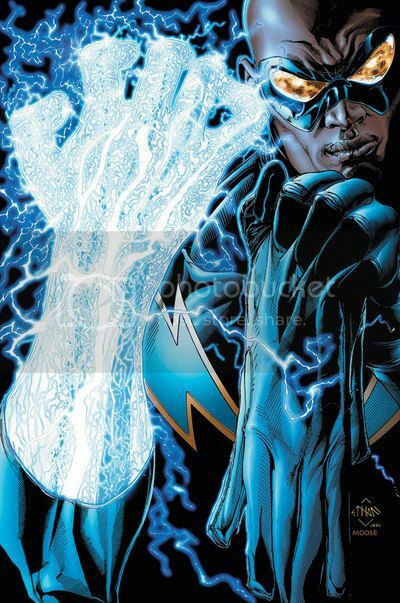 He becomes Black Lightning after seeing the quote "Justice--Like Lightning-- Should Ever Appear To Some Men Hope, To Other Men, Fear." The Story so Far: He fought local crime at night as a super hero. He was the principal of Garfield High School and he got to know a student by the name of Earl Clifford. Earl was killed and this starts the end of the 100 and Tobias Whale. Black Lightning eventually defeated them both with the help of Superman. Jeff was one of the founding members of The Outsiders team along with Batman, Geo-Force, Halo, Katana, and Metamorpho, and has been on and off the roster many times. He has been the leader of the team as well. Black Lightning has fought in the Suicide Slums for a long time and it looks like an uphill battle. He and his wife Lynn divorced and Jeff grew lonely. He eventually moved to Brick City after the divorce to work at a new school. He eventually became Secretary of Education under President Lex Luthor and this blackened his name to some heroes but he felt it was his responsibility to keep an eye on Luthor as well as truly try to advance American education. A benefit of his time there is that it gave him an “in” with some villains as they assumed he was close to Luthor so he has been able to exploit that for information. Later, he was framed and put in Iron Heights prison. He was eventually broken out by a version of The Outsiders, which includes his daughter Thunder. Jeff was invited to the Justice League of America during its Satellite years and at first turned down the offer. He joined a new version of the League later. He fought alongside Geo-Force, Superman, Batman, Wonder Woman, Red Arrow, Vixen, Red Tornado, Hawkgirl, Black Canary and Hal Jordan against Amazo and Solomon Grundy. 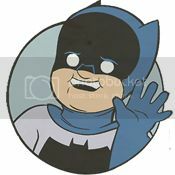 He stayed with the team for a good time until he is traded to The Outsiders at the request of Batman. Characterization: Jefferson Pierce is a highly educated and skilled teacher, who is widely regarded as the country's number one educator. Jefferson is known to have single handedly been the driving force in turning various decaying public education schools and facilities in various cities in country into the finest in the nation. Friends and Foes: He is close to his daughters, Thunder and Lighting, and remains on good terms with his ex-wife Lynn. He is one of the few heroes to have earned Batman’s trust and is also close to other superheroes like Luke Cage, Superman and his other Outsiders and Justice League teammates. Ah yes, Black Lightning's famous paraphrased quote. I have to wonder why they bothered to change it, after all Milo Sweetman, who is responsible for the original saying "Justice, like lightning ever should appear to few men's ruin, but all men's fear. Of mortal justice if thou scorn the rod, believe and tremble, thou art judged of god." Of course, Marvel went on to use the same quote (unparaphrased) for their Thunderbolts series when it first launched...but I digress. Anyway, that's a pretty sweet Black Lightning build Thorp. I noticed you gave him your standard electric features, (most of which his comic book version has never demonstrated) but removed his ability to create force shields and whatnot using his electrical control. All things considered I like your version better, even if the abilities stray from canon. THE OLD TANK IS DEAD! LONG LIVE THE NEW TANK!!!! Looks like the old Mart will be moving folks. I will be starting over fresh with new versions and stuff I haven't posted yet so I hope your patronage continues at the new forum! Thorpacolypse wrote: THE OLD TANK IS DEAD! LONG LIVE THE NEW TANK!!!! Honestly, the new tank hasn't rolled out all that well. It's been glitchy as a government website and that makes me a bit nervous. I really hope I don't have to create off-site back-ups of everything I've got up here, because that'll be time consuming, but the roninarmy sign up has been less than confidence inspiring. I get the impression that`s because of volume though. I'd love to be able to post in my own thread. Every time I put up a build it kicks me back to the main screen now. happens to the tank. It seems alot of people are moving to new threads like Woodclaw, me, and you. Maybe it's just the sheer amount of builds on the tank that might be causing glitches once in awhile? Thorpacolypse wrote: Check out this BLACK LIGHT SPECIAL for Aisle 1! Does he really have two right hands?